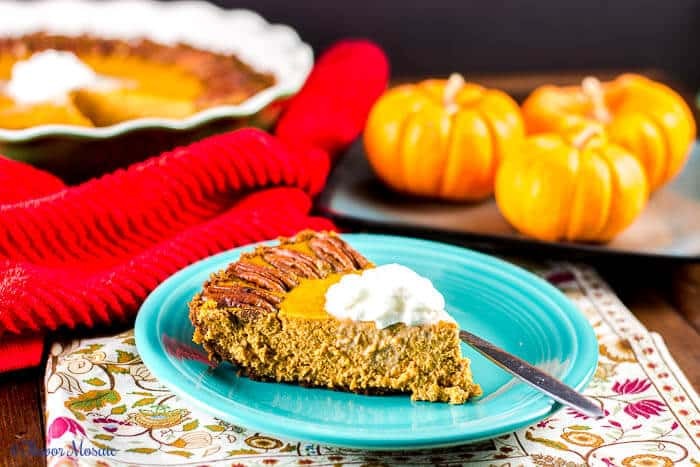 This Pumpkin Pie with a Gingersnap Crust is a scrumptious, creamy pumpkin pie with a crunchy, crumbly gingersnap crust, Greek yogurt, and much less sugar than a traditional pumpkin pie. 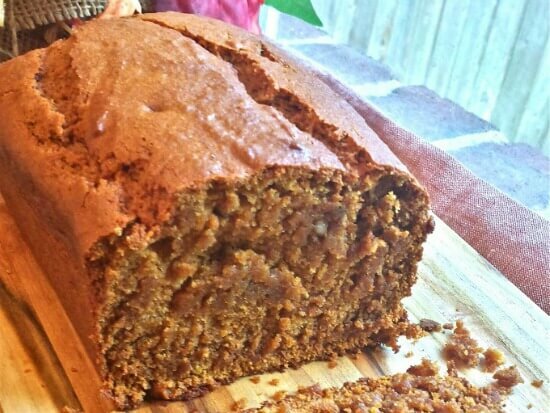 It is certain to be a family favorite at your Thanksgiving or holiday table. This year I continue my quest for a pumpkin pie recipe, or pumpkin dessert for that matter, that my husband will eat. He loves most foods. However, pumpkin pie is not one of his favorites. I have spent years trying to dress up the pumpkin desserts at Thanksgiving and other holidays trying to get him to like them. These previous pumpkin desserts include Pumpkin Praline Bread Pudding, Pumpkin Tres Leches Cake, and Pumpkin Pecan Cheesecake Bars. Then on top of his picky pumpkin eating habits, he tells me this year he is on a diet and only wants healthy (or healthier) desserts. 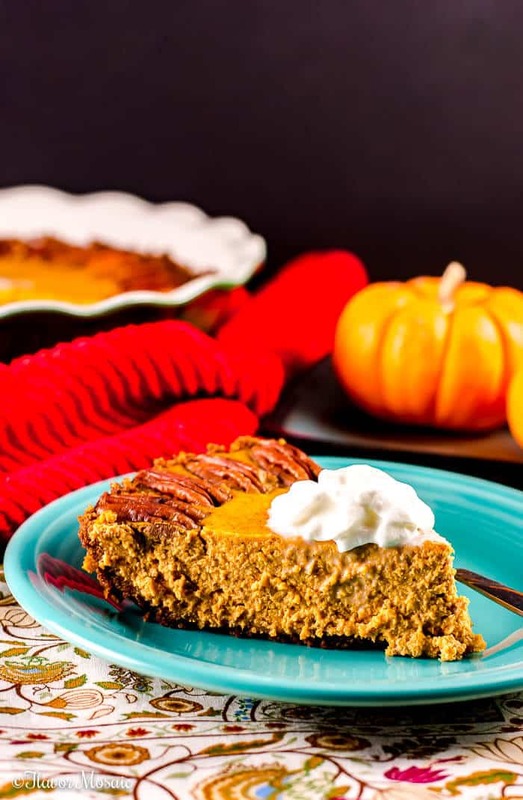 To reduce sugar and calories in this Pumpkin Pie with a Gingersnap Crust, I used SPLENDA® Naturals Stevia Sweetener instead of sugar and Greek yogurt instead of sour cream. To add a different flavor twist, I made a gingersnap pie crust instead of a traditional pie crust and used sugar free gingersnap cookies. To get my husband, Mr. Gridiron Grub Guru, more excited about this recipe I told him about Splenda’s #GoodbyeSugar30 challenge, which challenges you to reduce your sugar intake for 30 days. He always loves a challenge. Actually, we already have a family member that has reduced her sugar intake for more than 30 days and she has lost weight and feels better overall. For even more encouragement to enter the #GoodbyeSugar30 challenge, SPLENDA® Naturals are offering a chance to win a spa getaway. How cool is that? Splenda even includes tips for recognizing hidden sugar in the foods we eat and for reducing our sugar intake. In addition, SPLENDA® Naturals will provide you with delicious recipes and tips to help you along the way, as well as chances to win some sweet prizes. 1. Sign up and let your friends and family know about the challenge. 2. Get to know the different sugar terms on ingredients labels. 3. Identify obvious sources of added sugar in your refrigerator, pantry or on your next trip to the supermarket. 4. Watch for places where you have total control over removing added sugar from your foods and drinks. 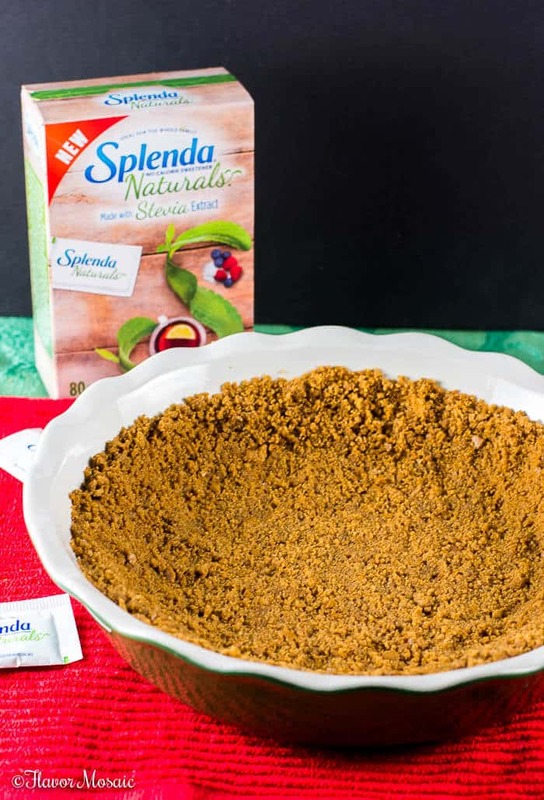 Why do I choose SPLENDA® Naturals? It is because it has a great-tasting, no-calorie natural sweetener made with not just any stevia extract, but from Reb D, which has no bitter aftertaste. It is natural, but there are different definitions of “natural” in the food industry. SPLENDA® Brand defines “natural” as no added flavors or colors, no preservatives, and only non-GMO ingredients made by minimal and common processes. 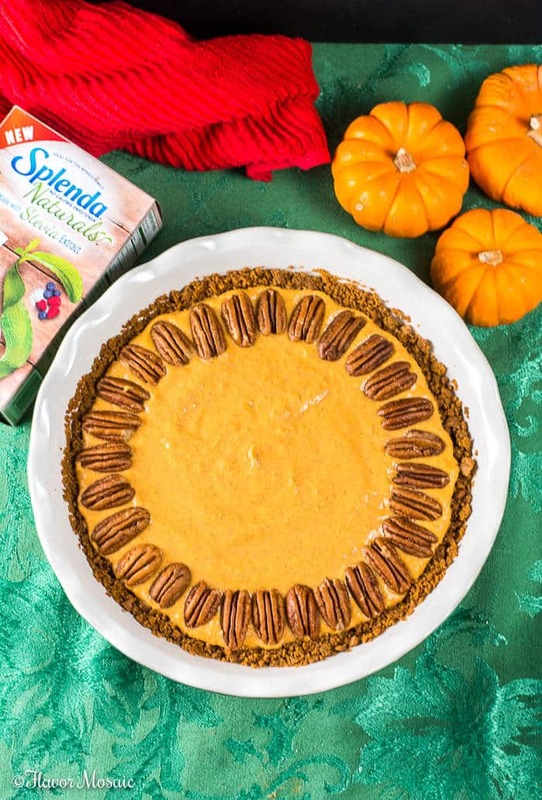 The SPLENDA® Naturals Stevia Sweetener adds a delicious sweetness to the Pumpkin Pie with a Gingersnap Crust that tastes so much like sugar, most people will never notice that you swapped out regular sugar for SPLENDA® Naturals Stevia Sweetener. 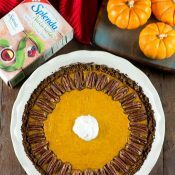 If you want a pumpkin pie that has more flavor with the gingersnap crust, less sugar with the SPLENDA® Naturals Stevia Sweetener, and more protein with Greek yogurt, yet tastes delicious, then you need to make this Pumpkin Pie with a Gingersnap Crust for Thanksgiving, Christmas, or any holiday or weekday. 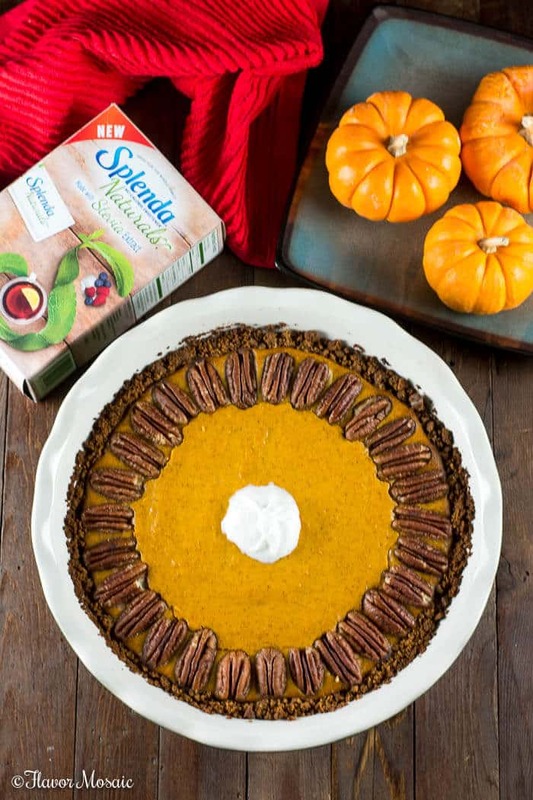 Combine cookie crumbs, 3 packages SPLENDA® Naturals Stevia Sweetener, and melted butter in a 9-inch pie pan. Press into sides. Bake for 5 minutes. Cool completely. 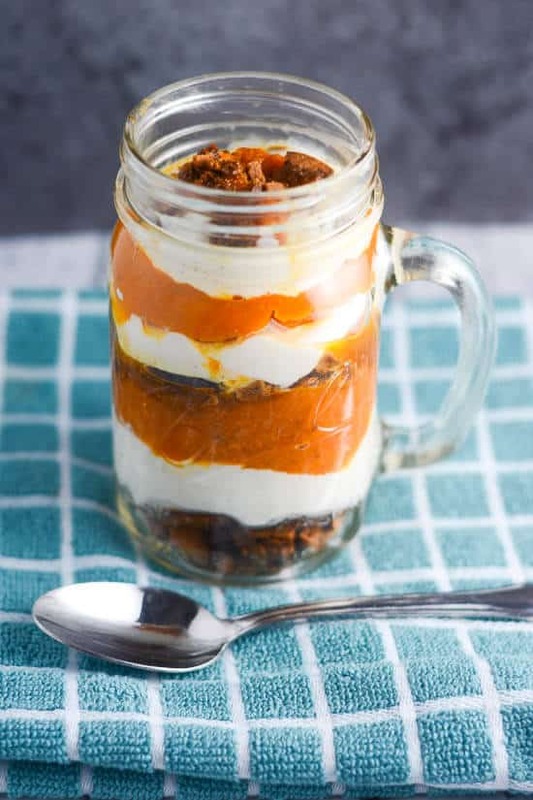 In a medium bowl, whisk together pumpkin, greek yogurt, sugar, salt, eggs, egg yolk, and pumpkin pie spice. Pour the pumpkin pie filling on top of the gingersnap crust and place the pie in the center of the oven. Bake for about 55 to 60 minutes or until the top browns slightly and the pie is set. Top with the pecans. 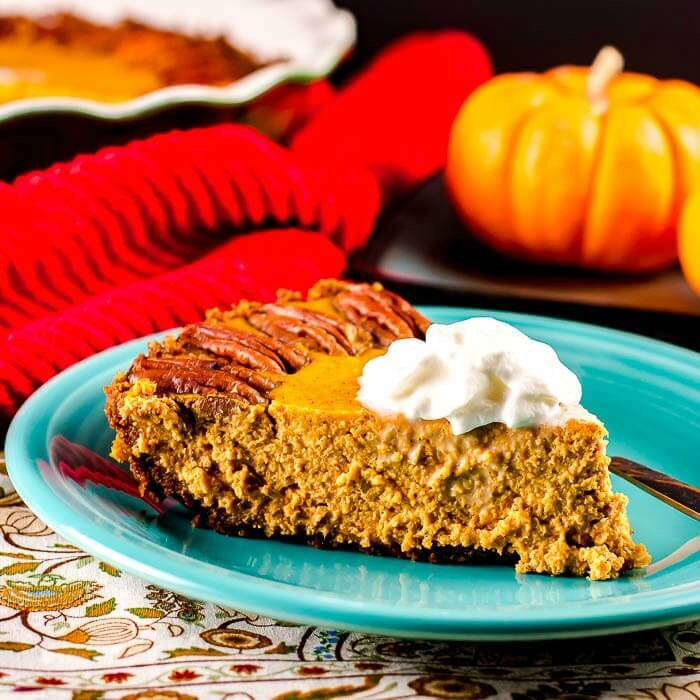 If you like this Pumpkin Pie with a Gingersnap Crust, check out these other Pumpkin Desserts.